Meet our two lovely sisters down in the Woods. You may be lucky enough to hear them howling alongside the coyotes and the lions roaring. Although Athena typically hangs out in the back playground, you will likely meet Venus right up close – being the alpha, she is always inspecting everyone in her vicinity. Believe it or not, one of their favourite treats are bananas!! A native species in the Northeastern region of the North American Great Lakes, these wolves are medium canine size between a coyote and a gray wolf. The species is listed as threatened due to the mix breeding between coyotes and wolves. Their diet consists of small to medium sized prey with a preference for white-tailed deer. Like many species of canines, these animals live in packs and communicate through various frequencies of howling. Both pup rescues, these two coyotes are very friendly and at ease in their new home. 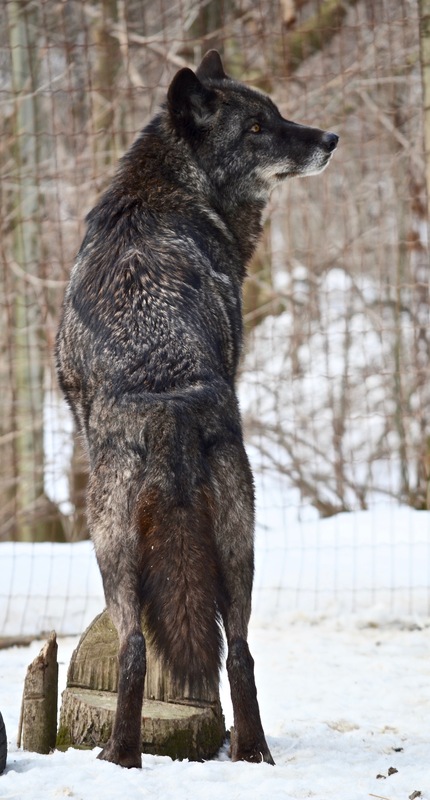 Bonnie was found in Simcoe unable to be released into the wild around the same time Clyde was rescued. Both came to the zoo just in time to become life companions. Like the wolves, you may get to hear our coyotes howling alongside many of our other animals. 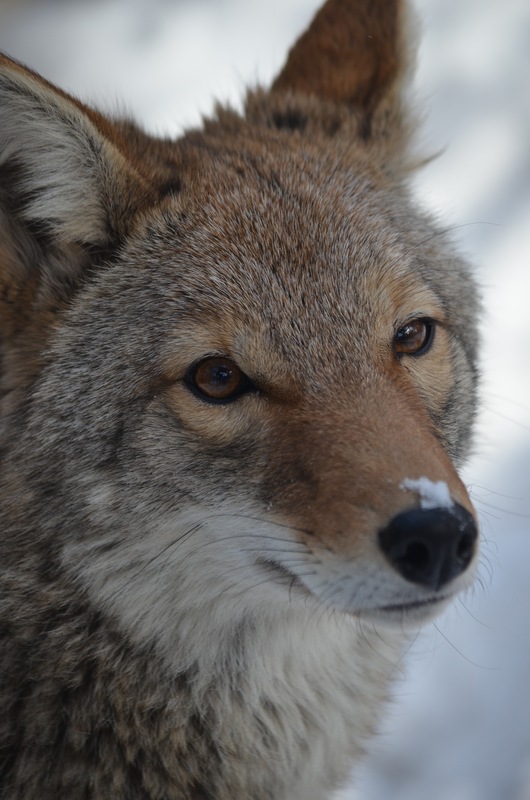 Native to North America, the coyote is a smaller canine closely related to the gray wolf. Coyotes are abundant in North America due to their versatility and ability to adapt and respond to many different environments. Being scavengers, a coyotes diet is wide ranging and includes (but not limited to) deer, birds, reptiles, fish, fruits, and even vegetables! 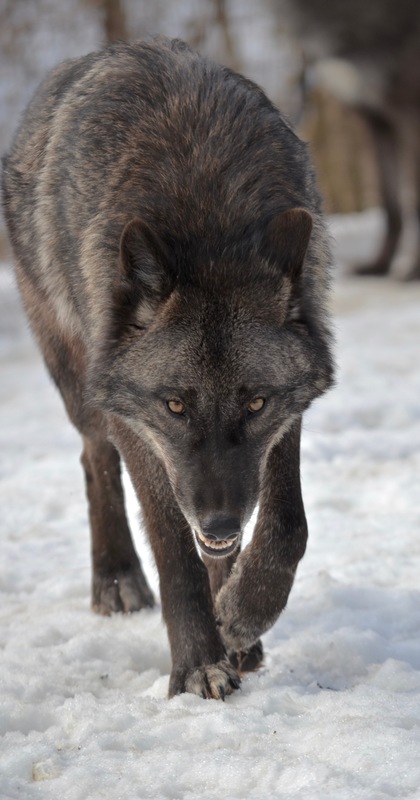 You may have heard their characteristic howls amongst their pack – an ear-piercing scream-like howl. Coyotes have 11 different vocalizations, all with their own function. 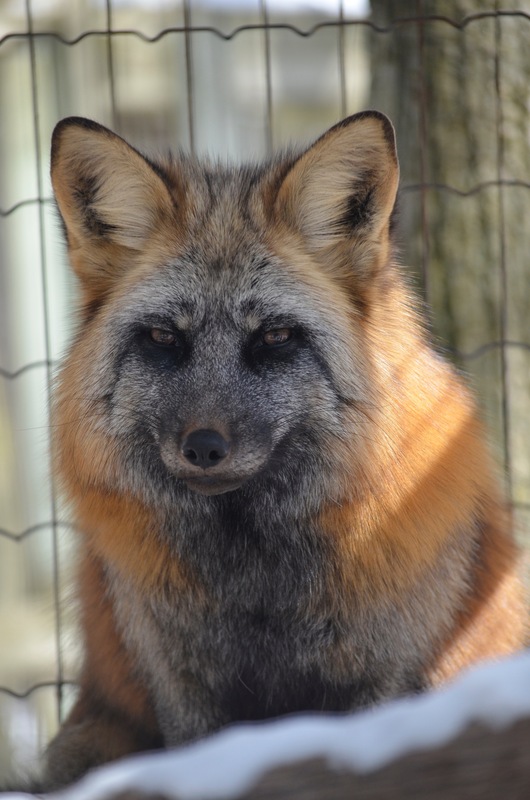 Stirling the Silver Fox and Geronimo the Red Fox are one of our newest arrivals this past year. It won’t be hard to find these two as both have a very distinctive scent (skunky!). They are both very friendly, and are often seen playing together in a puppy-like manner. The red fox is the largest species of fox in the world with the most widespread range geographically among any member of the Carnivore family. 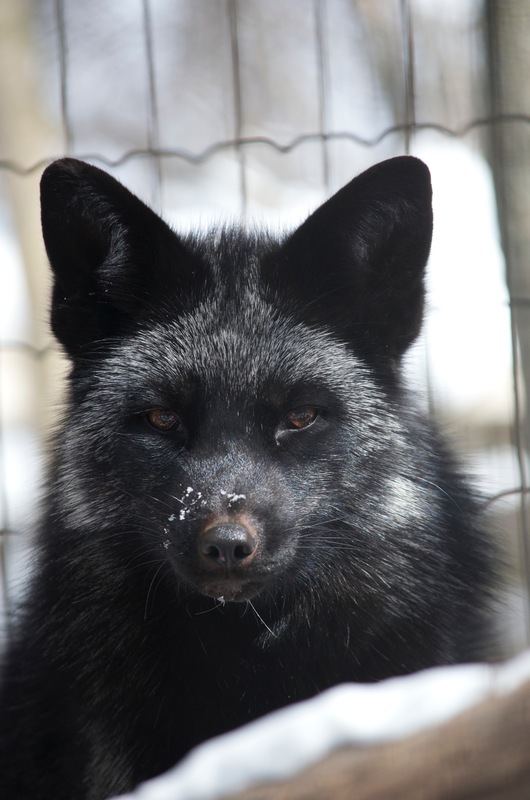 The Silver fox is a melanistic form of the red fox with the darker black pelt along with the characteristic white-tipped tail. Like coyotes, foxes are very adaptable, especially with respect to changing environments. Their diet consists of smaller prey, such as rodents, rabbits, birds, and reptiles. Typically living in pairs, the red foxes establish territories and uses urine for marking.